MACON, Ill. – The ultra-competitive street stocks division at Macon Speedway just picked up more prize money with a bonus added each week from Donnelly Automotive Machine, Inc., 1298 E. Eldorado, Decatur. The Magic Number by Donnelly Automotive will award a $50 gift certificate to the store following the street stock feature. After the feature race is won, a number will be drawn from victory lane to select the prize winner from the feature race. The lucky winner receives a $50 gift certificate to Donnelly Automotive. Since 1955, Donnelly Automotive has provided motorists and race car drivers with the best auto parts and customer service. Donnelly’s goal is to offer the best prices and best service to get you back on the road – or the race track – in no time. For more information, follow Macon Speedway at (www.maconracing.com), Facebook (www.facebook.com/maconracing) and Twitter (@maconspeedway). It’s easy to join the Macon Speedway text service. Fans can text MSFANS to 74574 to receive fan information. Drivers can text MSDRIVERS to 74574 to receive driver information. Message and data rates may apply. 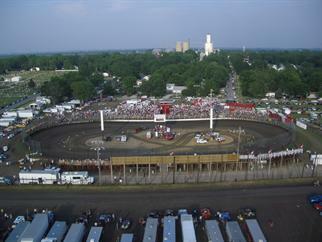 Updates are also available by calling Macon Speedway at 217-764-3000.